3. 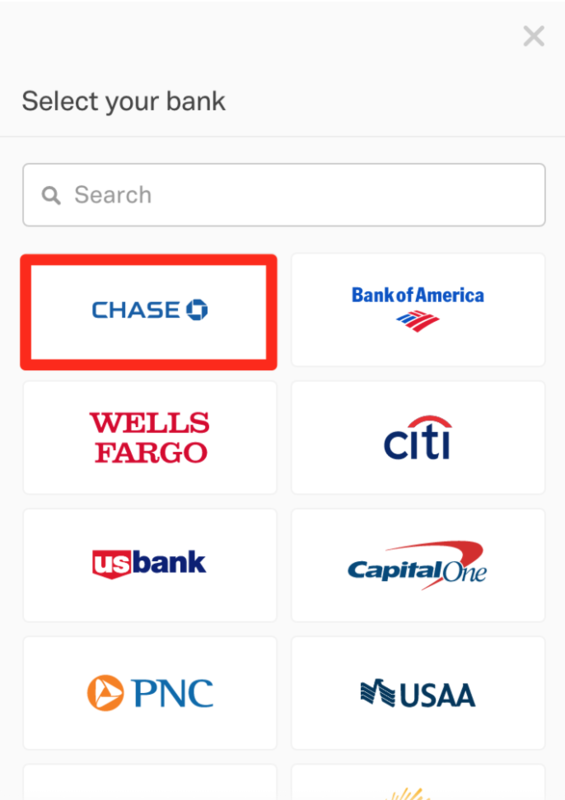 Choose your bank from the list. 4. 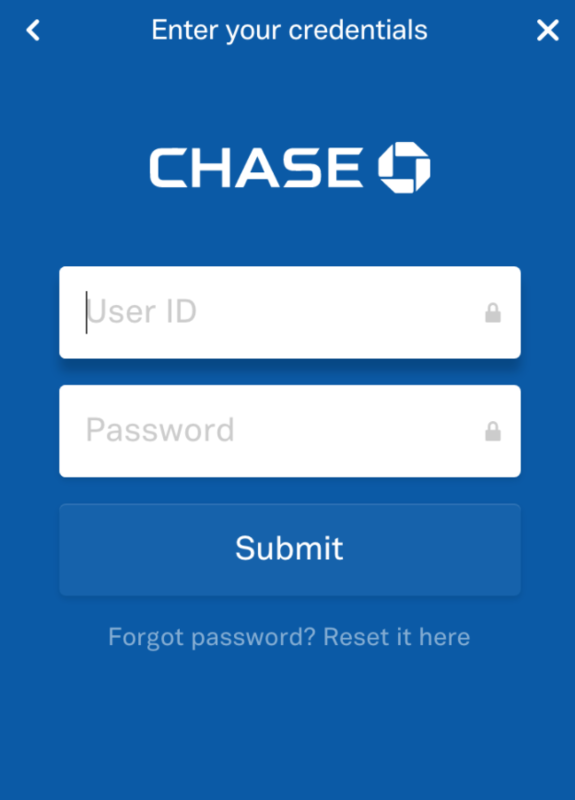 Enter you bank account credentials. 6. Input bank account details. You will then see this screen, with the "unverified" message. With this method two small test deposits will be made into your bank account in 1-3 business days. These test deposits will come from either "ACH Credit CARTA - DUES" or "CARTA PAYROLL PPD." 7. 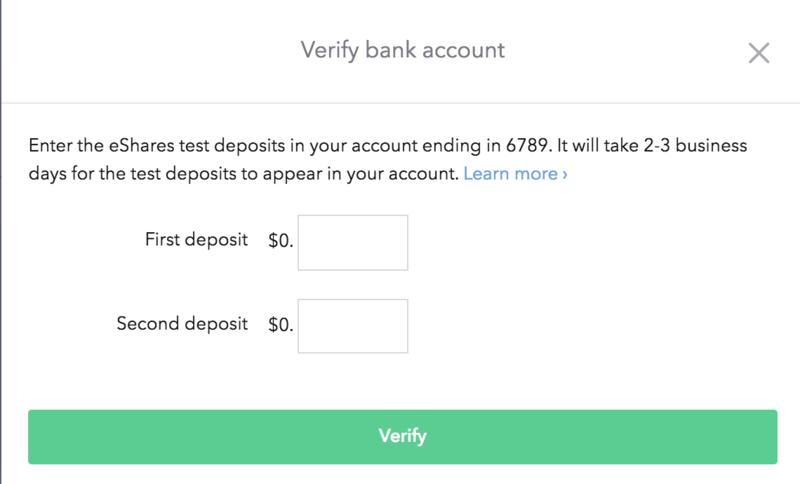 After you have received the test deposits to your bank account, return to 'Accounts' and enter the first deposit as the "First value," and the second deposit as the "Second value." 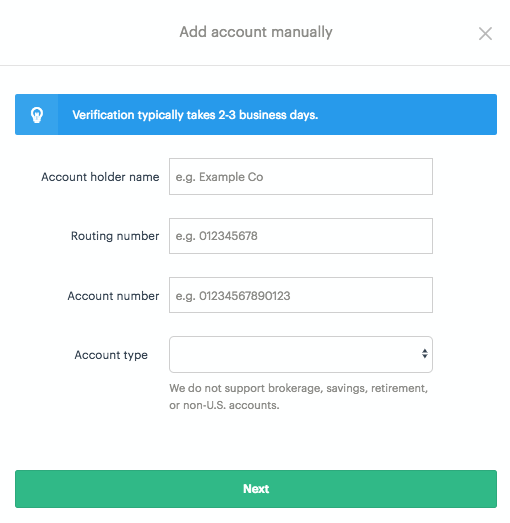 Once you have verified your account the bank account setup process is complete. You will now be able to send and receive funds via Carta. Note: You can connect one bank account for each personal portfolio. If you would like to make updates or replace your existing bank account, reach out to investorservices@carta.com.